Timeless arched double gate hand made in the UK. Visually appealing wrought iron style scrollwork. Provides enhanced privacy and security. Stunning decorative scrolls and an attractive arch top ensure the Royal Premier wrought iron style estate gates offer an exceptional look at an amazing price. Manufactured in the UK to high standards these quality steel gates are suitable for any main entrance where there is a need to provide added security and privacy without compromising on looks. 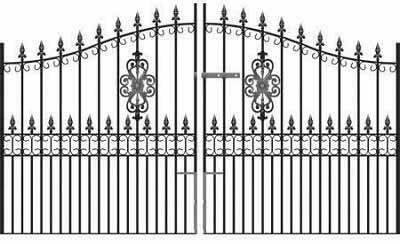 Timeless double gates have a stunning overall design. Perfect for a range of period homes. Built with 40mm x 30mm hanging stiles, 40mm x 20mm closing stiles, 40mm x 10mm cross rails and 16mm solid metal infill bars. Manufactured in the UK to high standards. Gates are supplied with adjustable hinges, sliding latch and drop bolts. 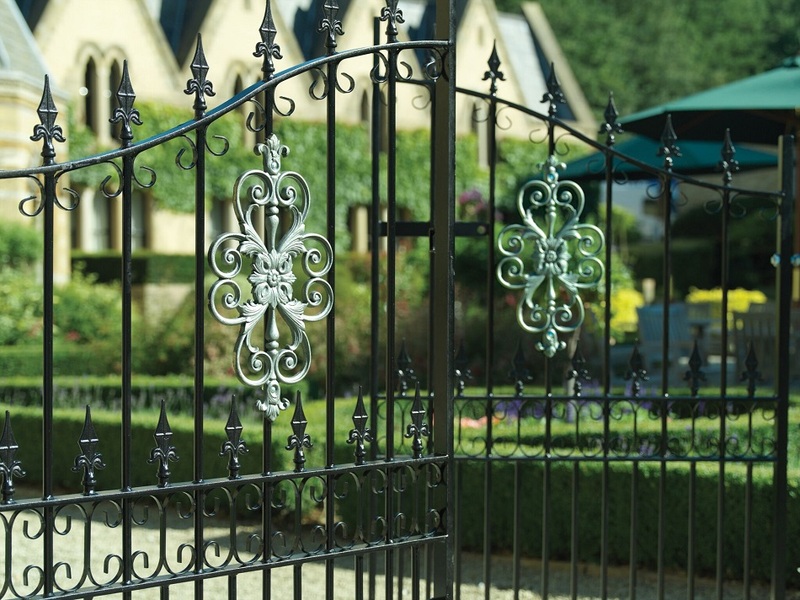 Royal Premier wrought iron style gates are suitable for automation although some modifications may be required. Select the width required from the menu above. The sizes represent the opening into which the gates will fit. We have already made an allowance for the space needed for the hinges and latch. 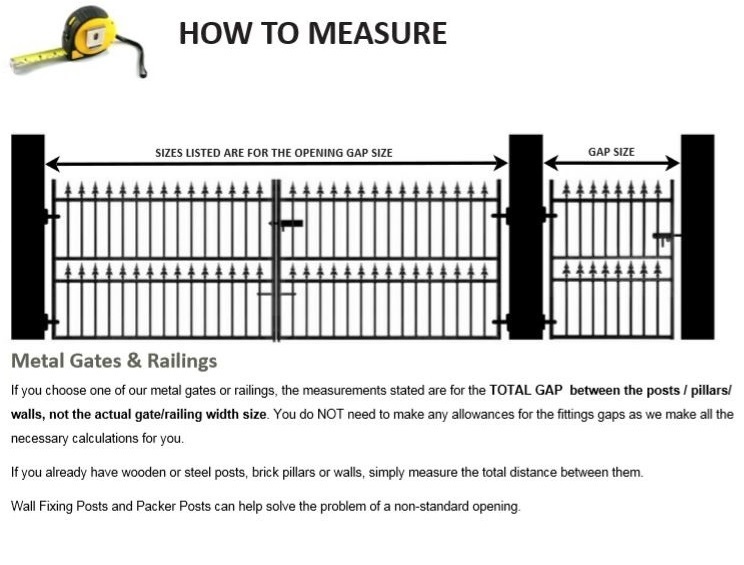 Looking for help and advice before ordering new driveway gates? To find out how to measure the opening click here or contact us by phone or email if you have a specific enquiry. 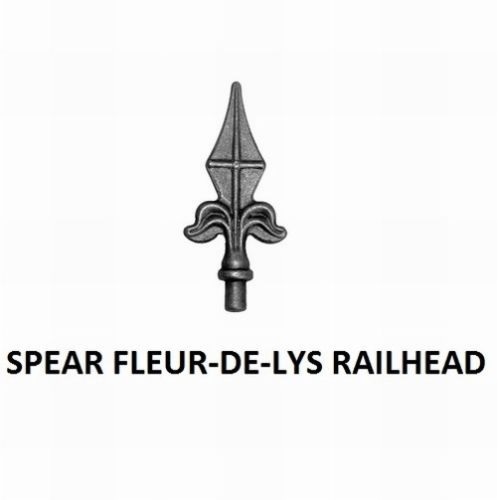 To complement these high strength wrought iron style estate gates we can offer you the following optional extras. For more information about these upgrades or if you need help and advice choosing the best options to suit your specific requirements please contact us by phone, email or using our online enquiry form.